Diet And Cardiovascular Disease: Carbs are harmful, fats protect us. 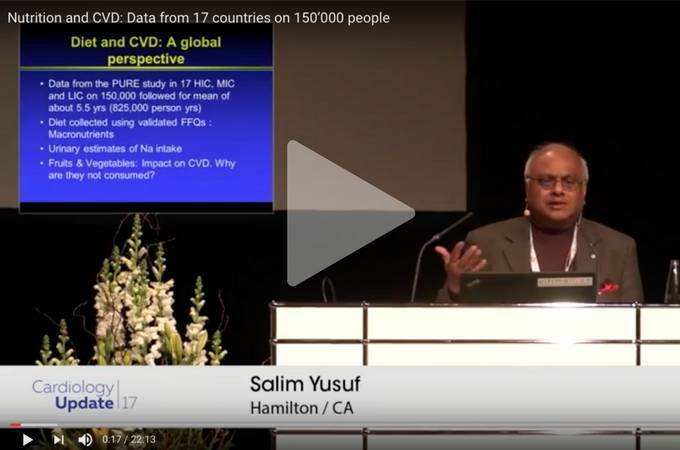 The World Heart Federation president, Salim Yusuf, has presented the data from the PURE study on diet and cardiovascular disease. This is breaking news and will send ripples across the world. “Every week in the newspaper we read something is good for you, and the same thing next week is bad for you”. 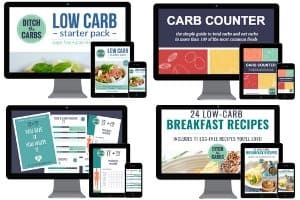 If you only watch one presentation on nutrition for the next decade, this is it. UPDATE – this video has now been removed as the study is not yet published and they wish for this to remain private. It may however be found on other channels. I have summarised his presentation below for those of you who didn’t manage to watch it before it was removed. The PURE study collected data from 17 countries and 150,000 people. The data directly challenges the WHO and AHA guidelines on diet and cardiovascular disease. As increasing carbohydrate intake occurs, there is an increase risk of cardiovascular disease. The current guidelines promote reducing our fat intake, and increasing our carbohydrate intake. This is most likely damaging. Once you go past 40-55% carbohydrate intake, there is a steep increase in the risk of cardiovascular disease. The WHO guidelines say that up to 75% carbohydrates is acceptable – “but that is wrong”. Increasing fats is protective. Saturated fats may be beneficial, at the very least, they do no harm. Monounsaturated fats such as olive oil, you get a clear benefit. Polyunsaturated fats, which is largely from vegetables oils which are highly processed oils, are neutral. BUT, remember the introduction of these newly created oils in the last 30 years, are entirely industry driven. We went from natural fats (largely animal fats) to ultra processed vegetable fats. There is ZERO evidence to encourage low-fat dairy products. The saturated fat that comes from full fat dairy may be protective. Hypertensive patients are extremely sensitive to salt so it makes sense for these patients to cut back on salt. BUT, if you do not have high blood pressure, do not cut back on salt. Sodium is an essential for various functions within your body and homeostasis. Sodium is vital for fighting infection which is why most of our sodium is stored under our skin (subcutaneous lymphatic system) to fight infection as it occurs. Increasing sodium at the site of infection, fights infection. Moderate sodium intake 3-5g per day is optimal. Vegetables – raw, cooked, coloured, leafy green all are neutral. What does this mean? This notion of 5 fruit or vegetables per day is made up (why isn’t it 2 or 8). Yes eat fruit and vegetables because we like them, because they will contain micronutrients, and we enjoy them. Diet and cardiovascular disease risk factors – How did they get it SO wrong? Depending on the bio-marker (blood tests) you are analysing, you may make different conclusions. Previous studies analysed the rise in LDL from saturated fat intake, and yes LDL increases slightly, but what they didn’t show, was the reduction in cardiovascular risk. It was this rise in LDL from saturated fats that has has dominated the eating guidelines. They failed to differentiate and clarify the relationship between diet and LDL particle size. Apo B/Apo A ratio is the most sensitive risk factor prediction (Apo A is protective, Apo B is damaging). This is what has now been studied. Increasing saturated fats, mildly decreases the ratio and can be considered neutral or slightly beneficial. Increasing monounsaturated fats heavily reduces your ratio, and reduces your cardiovascular risk. Reduction in salt was studied in the Yanomami Indians. Yes lower salt intake gave them lower blood pressure, but their life expectancy was 32. They died from infections. The current WHO states salt should be 2-2.3g sodium per day. “This is completely wrong”. “Did you know that the seven countries study that actually had a straight line between saturated fat and cardiovascular risk is fudged because 23 countries participated in that study and they took the seven best that fitted that line”. “They chose the seven that fitted the line. The nutrition field has been distorted”. Lower your carbohydrates, increase your healthy fats, ensure moderate sodium, enjoy lower carbohydrate fruit, vegetables and legumes. Further reading: The cholesterol myth, why inflammation is the enemy. Libby, I would like to email some of your stuff to family and/or friends who do not have any social media accounts, only an email address. How do I do this please? That’s great that you would like to share my website with your family. You can copy the website address of any page and email them that link. That’s probably the easiest way. You can also send them the free ebooks I give to subscribers. They might enjoy those too.